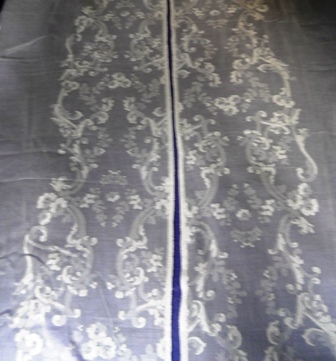 Cameo Madras Lace Sidelight Panels (Pair). 2 x Cameo Madras cotton lace panels. Each Madras panel measures 18" wide by 98" long. The design dates circa 1900's. 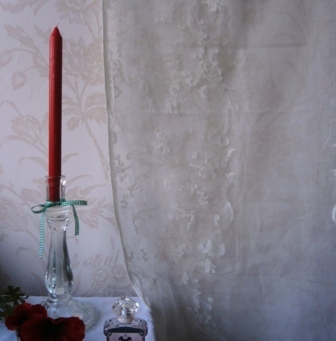 Ivory cream in colour, these traditional lace curtain/panels are unfinished and need hemming on three sides. 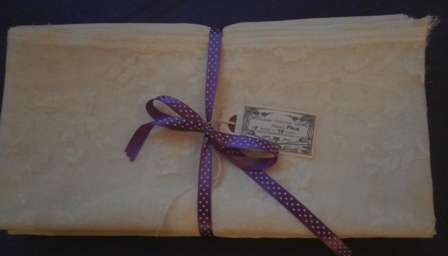 Unused vintage lace manufactured in Scotland on Nottingham Lace looms. 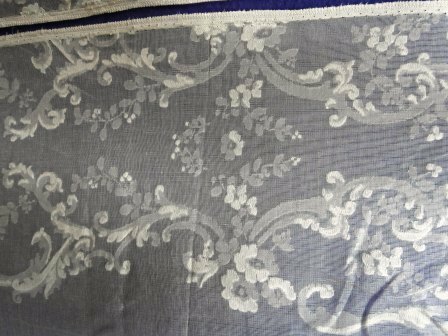 These beautiful Madras lace panels are elaborately decorated in true Victorian style. 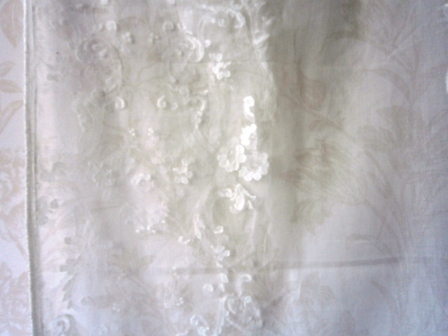 ...beautiful scrolls gracefully decorating this narrow cotton panel. Could be used for narrow windows or alternatively made into table runners etc….